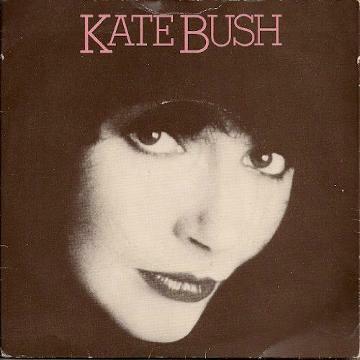 Cast your mind back to March 1978 and you may well remember when the British singer-songwriter, Kate Bush, scored her very first hit record - and she certainly did it with style! The self-penned Wuthering Heights was her debut single and topped the UK singles chart for four weeks, propelling Miss Bush to instant fame and fortune. The song was also a major hit across Europe and also reached #1 in Australia. A debut album entitled The Kick Inside also became highly successful, peaking at #3 in the UK album charts and achieving platinum sales. In Canada the album achieved 3x Platinum and also went Platinum in Holland. 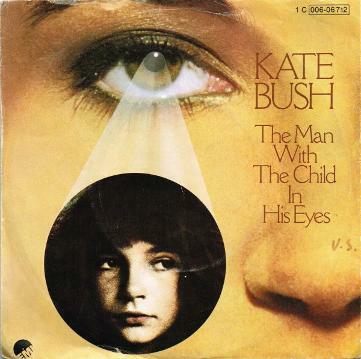 The success didn't end there, and Kate's second single, the haunting The Man with the Child in His Eyes also reached the UK top ten, peaking at #6. Later in 1978 the lead single from a forthcoming second album was released. Entitled Hammer Horror, the song failed to enter the UK Top 40, stalling at #44. This must have been a hammer blow for Bush and it looked like her successful musical career was about to come to a premature end. 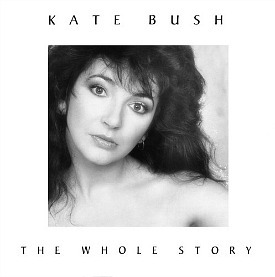 However, the release of her second album allowed Kate Bush to breathe a sigh of relief. Lionheart reached #6 in the British album charts and achieved platinum sales. Wow, the second single from the album (and fourth overall) was more successful reaching #14 in the UK during the spring of 1979 and #17 in Ireland, although it wasn't a hit across Europe. After a short break from releasing new material, Bush returned with a new single release in April 1980. Breathing was the lead single from her third album Never for Ever and peaked at a rather modest #16 in the UK. However, the follow-up single Babooshka became a big hit across Europe, making the top five in the UK, France and Ireland and also reaching #2 in Australia. A third and final single Army Dreamers reached #16 in the UK. A one-off single was released by Kate for Christmas 1980, although it was actually recorded a year earlier. December Will Be Magic Again peaked at #29, but performed better in Ireland reaching #13. In June 1981 (a whopping fifteen months before the release of her fourth album The Dreaming) Bush released the lead single Sat in Your Lap, an upbeat tune with more emphasis on the percussion than on previous releases. The track reached #11 in the British Isles but failed to become a major hit across Europe. The title track from The Dreaming failed to break into the UK Top 40, as did a third release from the album There Goes A Tenner. This track was not released in Europe where Suspended in Gaffa was released instead, although it only became a hit in France where it reached #30. 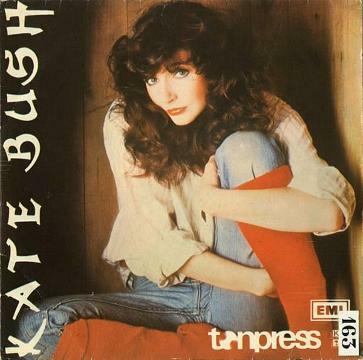 It would be three years before any new material was released by Kate Bush, but she returned to the pop scene with style with her lead single from the forthcoming album Hounds of Love. 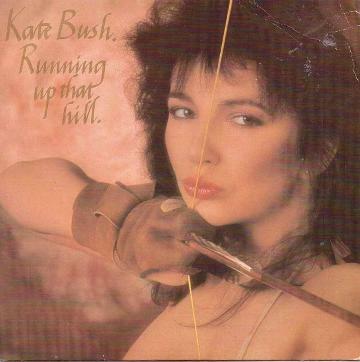 Released on 5th August 1985, Running Up That Hill stormed to #3 in the UK charts and also gave the singer-songwriter her first and only top 30 hit single in the U.S. The song was later used as the theme music for the BBC children's drama Running Scared. 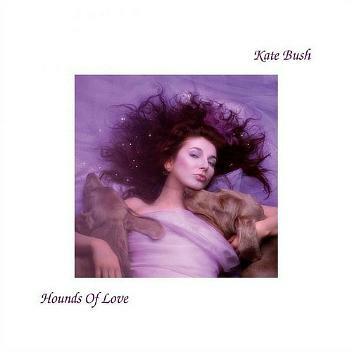 Released in September 1985, Hounds Of Love has to be up there with the very best albums of the 80s. It's loaded with atmospheric songs that you want to listen to again and again. From the trippy The Big Sky, to the oddity of Mother Stands For Comfort, all sounding so unique and unpredictable that you're never quite sure which direction Kate is going to take you. Cloudbusting was the second single release from the album in October 1985, with the title track being the third release. Released on 28th April 1986, The Big Sky was the last single to be lifted from Hounds of Love reaching #37 in the British singles chart. It was the least successful of the four singles from the album, although that is pretty much the norm with single releases. The Big Sky is a song about simple childhood pleasures such as lying back and staring at the clouds in the sky, and pleasures that we have little time for as adults. The Meteorological Mix featured on the 12 inch single. This also included Not This Time (the B-side from the 7 inch) and a bonus track entitled Morning Fog. 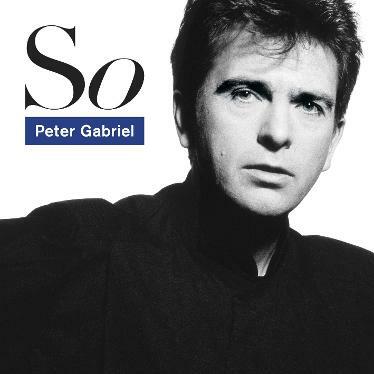 In October 1986 Peter Gabriel and Kate Bush released the hit duet Don't Give Up which reached No.9 in the UK, Penned by Peter Gabriel, the track featured on his multi-platinum So album. The video created by the legendary Godley & Creme featured the couple embracing each other.